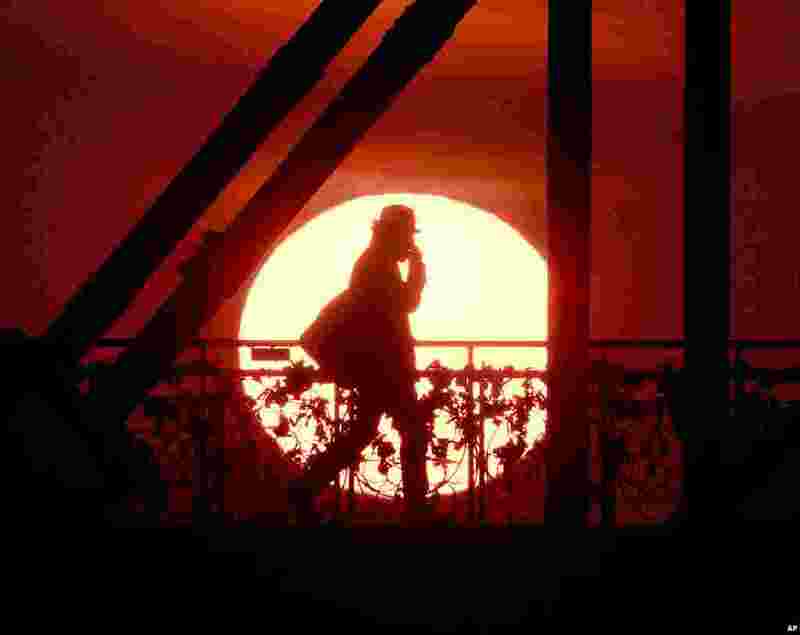 1 The sun rises behind the 'Eiserne Steg' (Iron Footbridge) pedestrian bridge in Frankfurt, Germany. 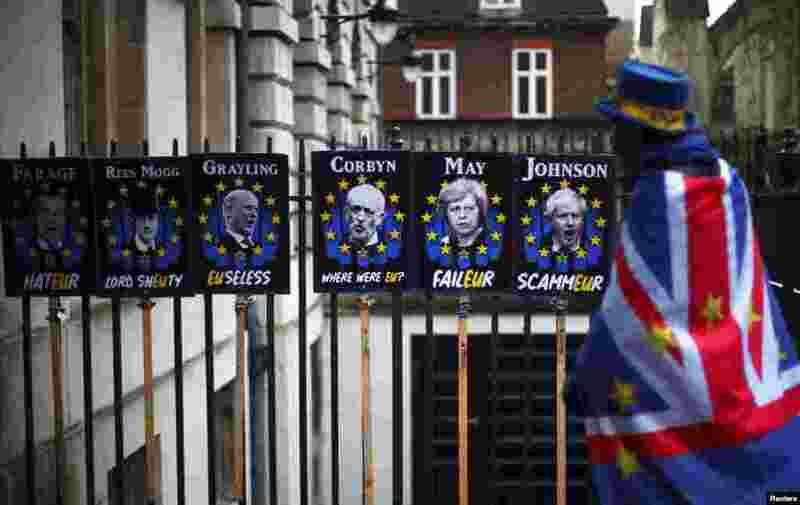 2 An anti-Brexit demonstrator walks past protest signs in London. 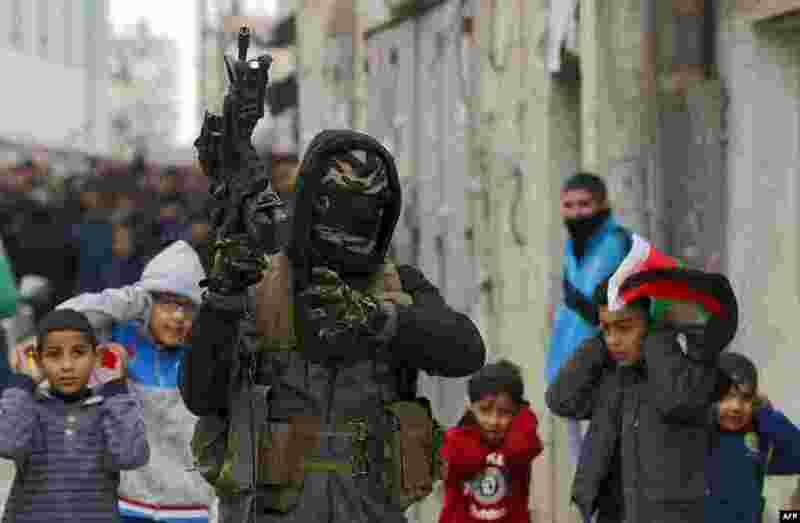 3 A Palestinian militant fires into the air during the funeral of 23-year-old Palestinian Mohammed Adwan, who was killed during a clash with Israeli forces near Jerusalem overnight, in the Qalandia refugee camp near Ramallah in the West Bank. 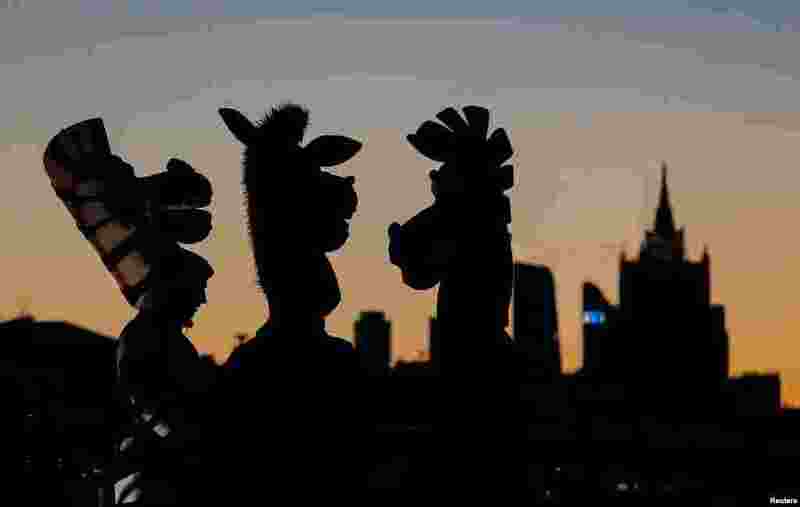 4 People dressed in costumes of zebras gather at a bridge in central Moscow, Russia.